With Guangzhou Evergrande's incredible capture of Colombian striker Jackson Martínez this week, we decided to look at some of the big name footballers that have moved their career to the Super League; an organization that is not exactly known for their high quality football, but have in the past made a splash or two on footballers that were at least at some point known around the football world as high caliber players. Ok, so Colombian 28 year old forward Fredy Montero is not exactly a "big name" footballer, but for those of us in North America that follow the MLS Montero was indeed a big deal in his three years with the Seattle Sounders. After Major League Soccer, the (then) youngster was signed by Portuguese club Sporting CP, but has recently signed for Chinese club Tianjin TEDA for a transfer fee of £3.75m, with Sporting more than doubling the money they paid Seattle just two years earlier. 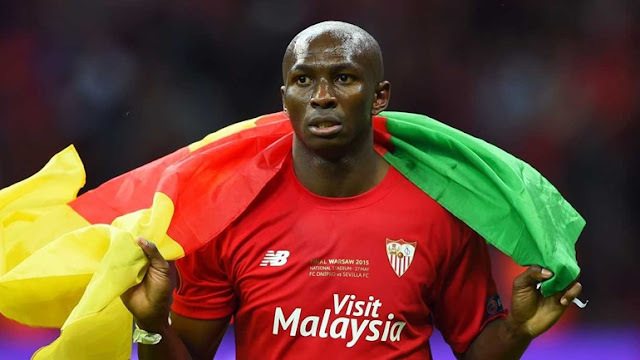 Much like Montero, Cameroon international Stéphane Mbia is also a new addition to the Chinese Super League. The former QPR, Sevilla and Marseille defensive midfielder was purchased by Chienese side Hebei China Fortune from his last club Turkish side Trabzonspor for £4.50m. Not too bad considering the Turks got him from Sevilla on a free transfer. Still just 29 years old, the former Inter Milan and FC Porto Colombian midfielder has featured for Inter in Serie A on more than 100 occasions before making the £9.75m switch to China to play in the upcoming season with Shanghai Shenhua. 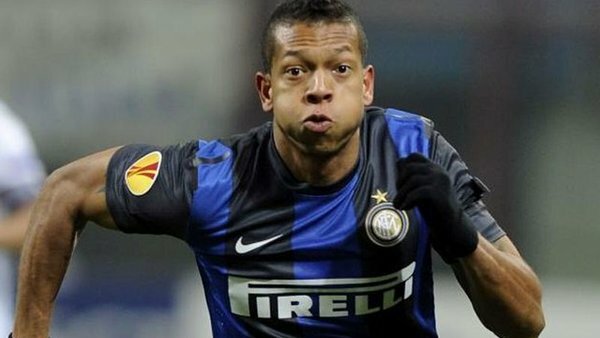 The club has been known to sign high profile footballers in the past and Guarín will be joining two more big name players, which we feature a bit later in this list. After an emphatic performance for his native Ghana in the 2010 Fifa World Cup in South Africa, the striker was signed by EPL club Sunderland. 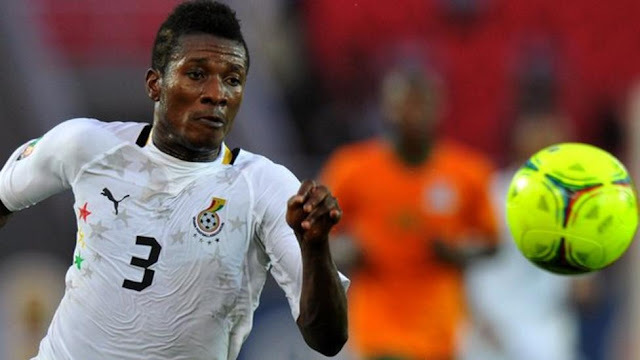 But after two mediocre seasons Gyan opted for the payday rather than glory, moving on to Emirates club Al Ain FC before signing for his current Chinese side Shanghai SIPG for a cool £6.75m transfer fee. Remember this guy? Well, the once £15m Tottenham acquisition did not enjoy great success in London and after just two years was sold at a £4m discount to Chinese club Guangzhou Evergrande in 2015 to play for former Brazilian international manager Luiz Felipe Scolari. Personally, I always expected the former Benfica midfielder to become an EPL star during his Chelsea days. 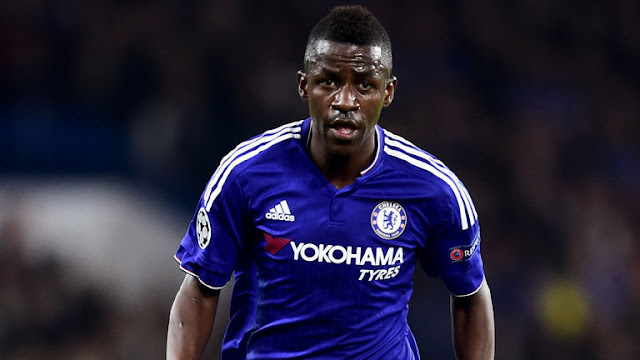 But, 6 years on and Ramires' Premier League career just never seemed to reach the climax many like myself thought it would. 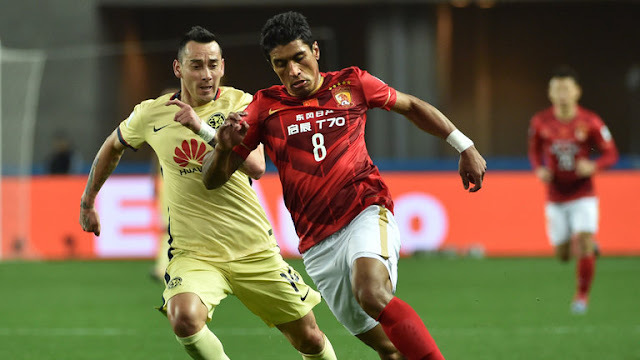 Now, before the start of the 2016 Chinese Super League season start, the Brazilian opted to sign for Jiangsu Suning, a transfer that cost the pink shirt wearing club a whopping £21.00m. I used to love Demba Ba. After all, the Senegalese striker did wonders at my beloved Newcastle United and will likely always be remembered as one of "those" guys that made a difference. After leaving Tyneside however, Ba's career hit a wall at Chelsea (can't say I wasn't a bit happy about it), and after just one year in London the striker moved on to Turkey, joining Istanbul club Besiktas. 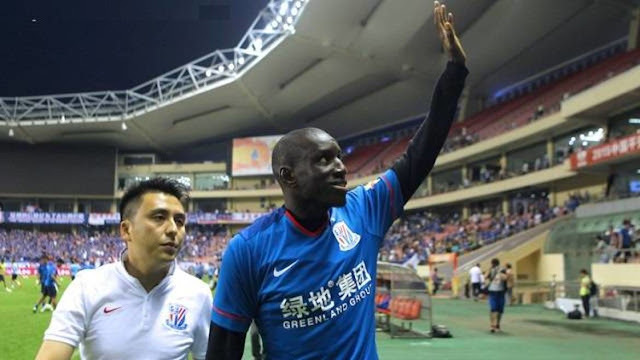 Last year however, after a pretty successful 18 goals in 29 appearances for Besiktas, the Senegalese was purchased by Shanghai Shenhua for a cool £9.75m; a higher transfer fee than any of his previous clubs had paid for the forward previously. Another former football star that is playing for Shanghai Shenhua alongside the previously mentioned Fredy Guarín and Demba Ba is Australian international phenom Tim Cahill. 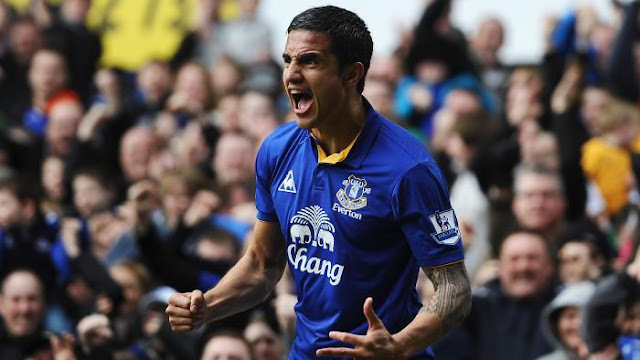 After spending well over a decade in England with Millwall FC and Everton, Cahill decided to finish his career in North America with MLS side New York Red Bulls. But when the Chinese came a callin' the Aussie signed for what seems to be a final football pay day. 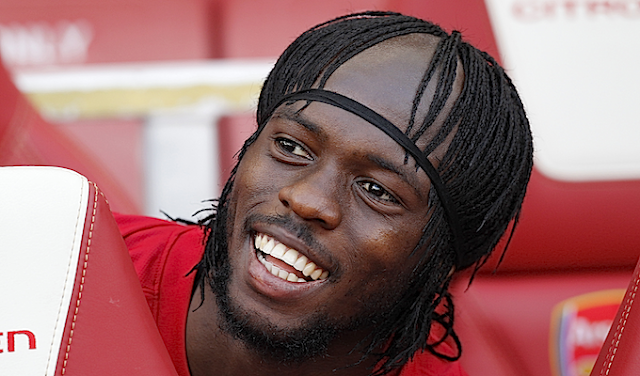 Ivorian forward Gervinho has spent his entire professional senior career in Europe. Starting in Belgium and moving on to France and eventually to Premier League title contenders Arsenal, the story of this striker seemed to have been reaching new hights with every signing. But after joining the Gunners and like so many before him, the English game proved to be a bit more challanging than the player expected and although Gervinho did show signs of brilliance at times, the overall performance was not what Arsene Wenger was looking for when he signed him from Lille for £9.00m. Gervinho was sold to Italian side AS Roma after two years in London for £6.00m and it was indeed Roma that made the good deal as they sold Gervinho to Chinese club Hebei China Fortune for a sweet £13.50m. The inspiration behind this entire list, Colombian striker Jackson Martínez seemed to have it all going for him after incredible 3 years at Portuguese outfit FC porto. Jackson was ripping opponents apart in the UEFA Champions League with his emphatic goal-scoring ability. 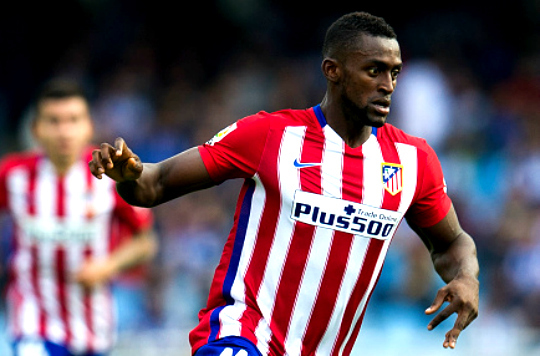 But depite interest from big name clubs such as Chelsea and Manchester United this past summer, the Colombian decided to sign for Spain's Atletico Madrid. But with 2 goals in 15 appearances since August 2015, his La Liga career came to an end this month when the big man was transfered to Chinese side Guangzhou Evergrande for an insane £31.50m; an estimated £9-10m above his market value.